Culture was at the heart of recent days celebrations in Djibouti as the country was crowned as WORLD CAPITAL OF CULTURE AND TOURISM, has launched his new tourism strategy and received the visit of the leading teams of global tourism institutions (European Council on Tourism and Trade and European Tourism Academy). 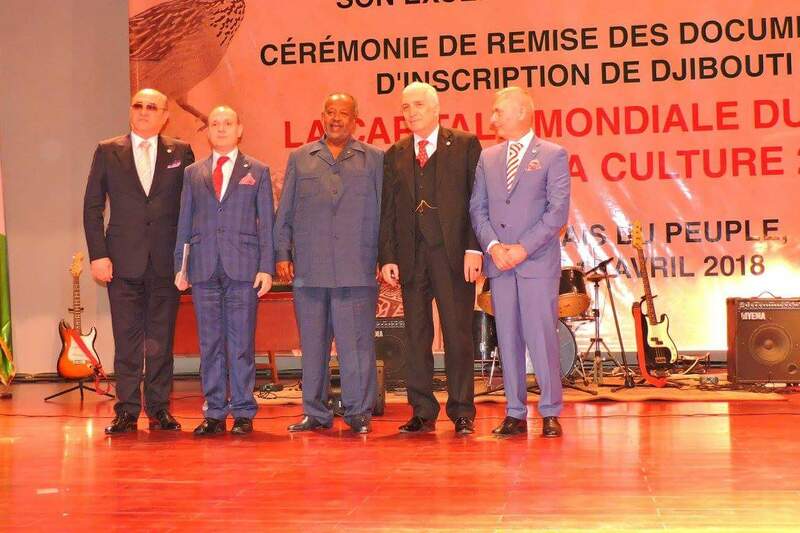 Culture was also honored on April 19,2018 in the person of H.E. 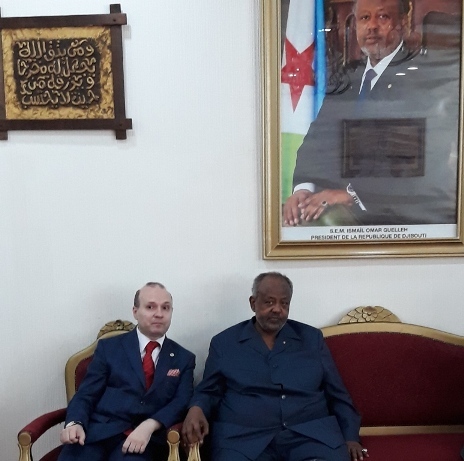 Dr. Anton Caragea, President of European Council on Tourism and Trade who was decorated with the Republic of Djibouti highest order: NATIONAL ORDER OF 27 JUNE 1977. 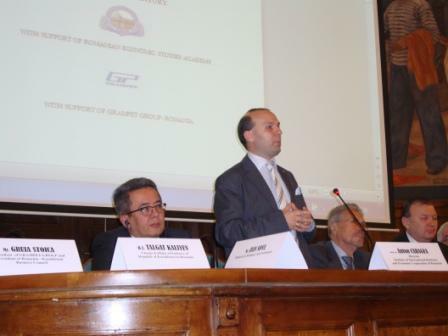 On 13th November 2012 Romania had hosted the Conference on Peace and Security in Europe and Asia, an impressive gathering of Europe`s most important political brains, destined to express the support for Platform for Peace and Security in Europe and Asia. The Platform is a designed model of cooperation and peace created by the lofty President of Kazakhstan-Nursultan Nazarbayev. The Platform for Peace and Security is an intellectual replay to the challenges of XXI century: war, criminality, terrorism, inter-ethnic conflicts, inter-state wars, collapse of international organizations such as United Nations and his affiliated agencies etc. All this conceptual and reality`s defiance are becoming part of the security concerns of XXI century. No state and no individual are immune to this general collapse of authority and legality, that is fringes the collapse of organized society. The only solution for a reconstruction of world and for solving the humanity problems is to restart the National State concept. A National State that will be, undoubtedly, different from his XIX century prototype. The fights for respect of human rights and for managing globalization trends must be implicated in the reconstruction of state authority. Without the state authority reconstructed and put at the heart of international law and norms, no global issue can be resolved. 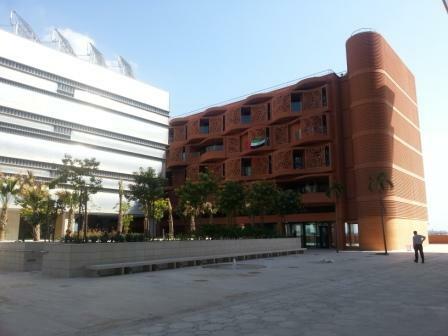 The re-construction of XXI century national state is the conceptual center of the Platform for Peace and Security. The Platform for Peace and Security is solving the evils of the globalization such as: terrorism, drug trafficking, crime and globalized crime only by concentrating on the reconstruction of a modern, sophisticated and up to date national state. This approach is truly revolutionary, as in the last two decades the international efforts, that could have being put to a much better use, where dedicated to dissolve and tragically destroy the national state authority. All this effort of destroying and portraying as outdated and even criminal the national state, had as only result the dissolution of state authority, the dramatic rise of international criminality, a policy of international involvement in the internal affairs of the sovereign countries and the destruction of private property and the terrible crimes against human rights, that the last century had ever witness. Reconstructing national statehood is an intricate part of re-establishing the global equilibrium. Globalization is a dangerous trend that, without being proper managed, could distort and destroy people’s lives and the only possible coordinator for a better understanding and use of globalization is the national state. Instead of perceiving the national state as an obstacle against globalization, the forces of globalization will do better to understand that only the national state is the proper provider of globalization and if the current trends of opposing globalization and national state are allowed to continue, the nation state will be trimmed and destroyed and globalization will become a totally negative trend. None of the current global problems of the mankind can be properly addressed in the absence of a strong a pertinent national state. The spread of mass destruction weapons and the terrorism is only the result of nation state weakness. 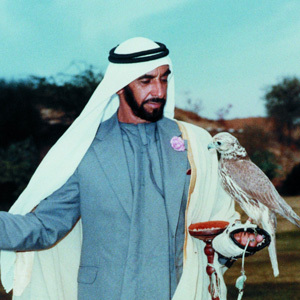 No mass destruction weapons could ever be transferred to private groups, as long as a state is functioning and running. Only when the former Soviet Union collapsed, the matter of mass destruction weapons was tabled as an emergency. Only after Afghanistan state was destroyed by the internal convulsion, the terrorist movement obtained a save heaven and created the base for terrorism to attack. At the beginning of 2000, the North Africa, composed of shamble states, with long desert border, such as: Mauritania, Niger, Mali, Algeria etc. become the center for new terrorist activity. The lessons of the last two decades are showing clearly that: only by offering support to national state to overcome the globalization related weakness, can insure that the flow of terrorism and destruction weapons can be stopped. Nation`s rights are human rights. With the end of Cold War a new concept had flourished, the concept that human rights are to be imposed against national rights. The theory it was that: the only legitimate way to assert human rights is to destroy national state rights. This wrong policy had created the nightmare of Kosovo, where in order to promote individual and minority rights a global intervention had destroyed Serbia, had killed 100.000 peoples and had created more than 1 million refugees. The final result was the creation of an illegitimate state, the creation of a vacuum and tension area in the center of the Balkans. What have even aggravated the aggression against national rights, was the unlawful use of the humanitarian intervention concept to destroy nation state, to aggravate crisis, to persecute democratic movements and to install a general atmosphere of distrust and insecurity at world d level. As the Platform for Peace and Security had stated: By this, basic human rights and freedom are jeopardized, ignored or directly violated under the slogan of defending the very rights and freedoms. Human rights are nation rights – this must be the key concept of insuring a peaceful world and preventing the masquerade of so called human rights protection by war to be used as pretence for foreign intervention and bluntly aggressions. The last two decades after the Cold War where based on the concept of uni-polar world, destruction of nation state , the blunt disregard for human rights and the forced cooperation by so called coalition of the willing, such us in Iraq intervention in 2003. The only reasonable and practical way of creating a cooperation system in Europe and Asia could be based only on cooperation models and the most successful one is that of Organization for Security and Cooperation in Europe in 2010, under Kazakhstan Presidency. Kazakhstan can play an instrumental role by the Platform for Peace and Security in uniting Europe and Asia by his tremendous capacity of building bridges. Also, the concept of building not only a state to state cooperation movement but also a state to multilateral organization is a truly remarkable idea, that could by itself created a momentum for unification and cooperation based not only on destruction of nation state but on his reconstruction. The quest for peace is in XXI century as actual and necessary as it was in the last hundred years. After the Second World War an array of international organization spring up, especially in Europe, a traumatized continent after the destructions suffered in two world wars. In the Helsinki Agreement run off, countries lead by Romania had created a special Conference on Security and Cooperation, in order to offer a possibility to act and re-act to international provocation, borders, conflicts, disarmament and human rights issues. The Conference on Security and Cooperation in Europe had soon proved to be a very concrete arena for international dialogue, fostering security in Europe, avoiding Cold War to become a hot war in Europe. This long track of success created the potential to be developed at the end of Cold War in Organization for Security and Cooperation in Europe. In 1990 the Paris Conference that settled the Organization for Security and Cooperation in Europe as the main framework for dialogue in the larger Europe area had an instrumental role in creating peace in our continent. 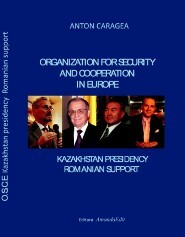 After 1990 until 1999 the Organization for Security and Cooperation in Europe can be used as an example for his activity. Solving the security problems in Europe after the dissolving of Warsaw Treaty, insuring the peaceful devolution of Czechoslovakia in 1993 and offering solutions for the resolution of conflicts in former Yugoslavia where essential achievements. Organization for Security and Cooperation in Europe had also successful passed the exam of the disintegration of former Soviet Union, paving the way for peaceful resolution of border conflicts, management of local wars ( as the Caucasus area ) and insuring the construction of democratic , open society in former USSR countries. 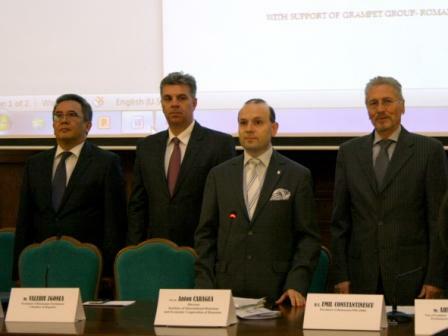 In 1999, the unlawful attack against Serbia, the Organization for Security and Cooperation in Europe had being gradually transformed from an arena of dialogue and fostering cooperation in a place for distorting the framework of cooperation that dramatically reduced the organization standing in the world. Only in 2010 the mechanisms of Organization for Security and Cooperation in Europe had being one again put in motion by the will and strength of Kazakhstan. 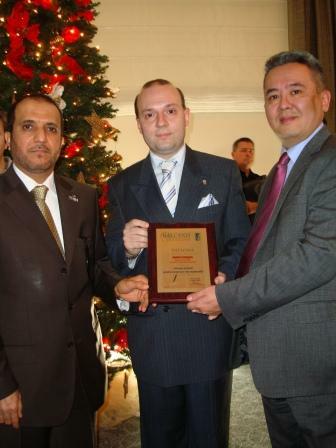 The Chairmanship of Kazakhstan in 2010 will be without a doubt hailed as the most glorious moment on Organization for Security and Cooperation in Europe history: a moment for international gathering, for creating a path for reform and relevance of Organization for Security and Cooperation in Europe in XXI century and the involvement of democratic civil societies in the organization development where all felicitous decision that insured the survival of Organization for Security and Cooperation in Europe. This moment of multilateral cooperation must be exploited and Kazakhstan experience must become the main pillar of an international cooperation model. We need this international cooperation and the restart of international organization efficiency and global action if we want to muster the changes that lay ahead of our civilization. The respect for international law: main pillar of diplomacy in XXI century. The XXI century appears to be a period of numerous conflicts: ethnic cleansing, civil wars, irregular international interventions. If we have to summarize all this conflicts and international tensions have just one common trend: the total disregard towards international norms and laws. Unfortunately, in the last two decades, after the end of the Cold War, the efforts of some interested parties to foster a uni-polar world, to undermine the international associations and to misused and miss appropriate the concept of human rights had created a general state of conflict and an unprecedented time of discord. The first concept that we have to use: is to balance the human rights issue with the national rights and to rebuke firmly and decisively the ideas of conflict between individual rights and nation rights. The nation and statehood concept are an intricate part of the concept of respecting human rights. National protection of human rights is the only natural and acceptable possibility of offering the protection of human rights. The last two decades of international affairs express clear the fact that international intervention in the so called favor of human rights are no less than war crimes and a total disregard of human rights. The long and unfinished tragedy of Iraqi people after the First Golf War and after Second Golf War, are creating a clear picture of the failed human rights based intervention: more than 2 billon euro in destruction, famine, starvation, the destruction of infrastructure and sanitary and cultural services for 20 million people and more than 1 million killed and 3 million refugees, this was the tragic result of the United States intervention in Iraq. The 1999 Kosovo crisis has also expressed the same results of the unlawful character of the human rights based interventions. The NATO led intervention in Serbia had created 1 million refugees, around 100.000 killed and terrifying destruction and left a terrible international law wound: Kosovo, an illegal so called state in the heart of Europe. The list of destruction created by the human rights based intervention can be extended to civil war in Syria, anti-Libya intervention, Haiti terrifying experience etc. The necessity to foster and strengthen the recognition and application of international laws and norms is the most important necessity for a peaceful XXI century. Four golden rules of international law. The main principles of Platform for Peace and Security in Europe and Asia states the respect of fundaments of international law such as: equality among states, the rejection of interference in the internal affairs of independent countries, the rejection of threaten with force and use of force in international arena and the consensus as the main feature of common international activity etc. These main principles are the only sound and common accepted principles that could build true representative coalitions, coalitions that could address efficiently the provocation of XXI century. This principles have being forgotten or even replaced in international activity of the last 20 years, a feature that undermined the efficiency of international bodies and aloud the violence in international affairs to reach unacceptable levels. Equality among states is the fundamental, basic principle, on which international diplomacy is based in the last four centuries. Without equality of small to medium or big states, the international arena becomes a place for using the right of force instead of force of right. The fundamental condemnation off all wars and the main body of diplomatic activity is based on the self evidence of the equality amongst states. The Second World War, to mention only the most known example, had started only on the base of disregard toward the principle of equality of all international actors. In the moment that appears the idea of a qualification and a selection among states, this is the first step toward aggression, war and the dismantling of United Nation principles. Unfortunately, the last two decade transformed this principle in a so called forgotten or obsolete international norm, allowing that by indiscriminant actions, sanction regime, targeted political attitude and aggression`s some state to be deprived by their use of air space, or of maritime border or to be forbidden to acquire certain types of arm’s or defensive equipment or event to pursue scientific research or develop their economy. This long line or arbitrary measures, contrary to international norms are based on a so called classification in good or bad states, in axes of evil or axes or good. Such a classification, contrary to international law, is a fragrant violation of the basic principle of equality amongst nation. The non-interference in internal affairs is another principle that must be restored, if the climate of insecurity and war that prevailed in the last period is to find an end. The basic principle of independence and sovereignty and of respect among nations was specially subjected to enormous pressure in international arena. New, unrecognized principles of a so called humanitarian right to interference or humanitarian interference or the right to preserve minority, all contra factual invention had appeared in international arena with devastating consequences. The wars in Balkans, the conflicts in former Yugoslavia, the conflicts in Caucasus, the Iraqi war, to mention just a few of the abomination resulted in this deviation of international norms, are speaking plainly to the necessity to restore this principle of independence and sovereignty in the international diplomacy. The non-interference is the only solution for creating a climate of respect amongst nation, of fostering the international laws to their former glory and to allow international organizations to find their true partners in the construction of a free and normal world: nation’s state. Without the umbrella of non-interference, no nation’s state could be sure of his territorial integrity, of his place in the world arena or about his right to protect his citizens and his interest and to act responsible in the construction of the XXI century world. The rejection of non-interference principles is creating an insecure world, in destroying the human rights and by destroying the national state is supporting the flourishing of terrorism and of non-state actors that could have an infelicitous behavior. The rejection of thereat of use of force in international arena is another fundamental principle that could not be negotiated, if the XXI century is to be a place of law and international norms. The latest decade had also seen an unsavory use of rattle sobering and threats against independent and free states by groups of other states. The violent mass media campaign, the use of rhetoric and of violent language in international diplomacy made this concept to look obsolete, when only his respect could be the base for a more security world. In the global village of XXI century, where information and communications became not only essential tools, but essential security risks, the full and correct complying with this principle of refraining to the use of threat to the use of force must be restored. The use of threats, of labeling in international arena, is the first step towards military intervention, diabolizing states , removing them from international arena, isolation policy, are all steps toward aggression and war that must be reprehended. We must never forgot that the Second World War started by the use of a so called Czech peril to Europe stability , when a small country of 20 million people was accused of preparing an attack on 90 million strong Hitler`s Germany. This is just an historical example and the latest two decades have seen many such outrages claims being presented in the international media as basic truth and later bases for international intervention. The Second Golf War started in the search of illusory weapons of mass destruction, that have never being fund, is just the latest example of the tragic use of lies and disinformation and of threats with the use of force or bland aggression against independent countries. Such actions had long time undermined the international security and had created a climate of universal suspicion and of pointing fingers that proved to be disruptive to international cooperation. The latest fundamental principle is the principle of consensus in international arena. Without a doubt this fundamental principle was under attack as in the latest decade the international actions have being far from consensual. Actions based on crossing the principle of international laws and diplomacy and on fabricated evidence like in the case of the attack on Serbia in 1999 or on Iraq in 2003, had proved to be incapable of mastering a consensus. This is not a proof of the inefficiency of this principle, but just the contrary, this is the demonstration that only the consensus based activity is really positive and is creating the necessary framework for efficient activity of international organizations. Only the consensus can prove that the cooperation and action on behalf of the international community are really based on the free will of the states and nations of United Nations and are not just the result of pressure or manipulation. The principle of consensus had worked on the First Iraq War of 1990, when a broad consensus of all nations, drive Saddam Hussein forces out of Kuwait. A consensus based activity is efficient, speedy and supported by all international forces and is having the force of law and diplomacy. Consensus is possible and is the only way that international cooperation could be achieved. All international actions not based on consensus are illegitimate and inefficient; majority is not enough in international arena and in international law. The community of states is based on equality, respect of fundamental rights and on consensus. Only by this way international activity can resolve crisis, not create new ones. The tragic history of the last 20 years has spoken enough about this. The Platform for Peace and Security in Europe and Asia, the latest drive for peace and a better world in XXI century, launched by Kazakhstan President Nursultan Nazarbayev, is part of a long tradition of searching and promoting peace in the world. This initiative is having all the necessary ingredients to be successful, mainly because is rational and based on the reconstruction of international norms. We also must draw attention to a dangerous trend: the rapid decline of the national states, the increase power of criminal groups from economy, politics and even military areas and the increase insecurity in international affairs. These dangerous trends are increasing in Asia: conflicts for influence and borders, internal civil wars, international interventions, military threat are flourishing. Other continents like Africa are also engulfed in crimes and corruption and in collapsing national states. This general climate of conflict, tragic global insecurity and outer disregard for international norms is making more urgent and necessary a global solution based on the value and inspiration of Platform for Peace and Security in Europe and Asia. This must be not only a search of peace of diplomats and the powerful elite of this world. Security and peace are essential for every individual, state, community and interest group. Without security, and in the perpetuation of the present day climate, nobody is safe and the world development is in balance. The world spruce up goes by the fulfillment of the Platform for Peace and Security in Europe and Asia commitments. 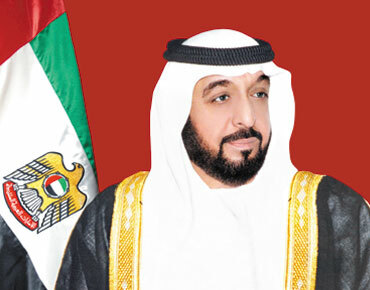 We need a global voice to resolve the global issue and to balance the forces of destruction and chaos in today`s world. In Bucharest, Conference on Platform for Peace and Security in Europe and Asia, the voices of intellectual, diplomatic and academic elite of Europe had being heard for the first time. Let`s not let this voices to go in vain. The illusory perfect world of the XXI century. At the beginning of the twentieth century optimistic geopolitics, led by the famous thinker Francis Fukuyama, believed that we are witnessing the fulfilling prophecy on the end of history. At first glance everything seemed to give them justice: the market economy seem to liquidate traditional inequalities between countries and promised an era of overall development and steady growth of the living standards. If, on the level of the individual safety, market economy promised abundance and absence of crises, in the field of global security the developments seemed to ensure a better future. The permanent EU enlargement ensured security on the European continent, joining former Cold War adversaries in a forum of development, democracy, security and general welfare, it seemed that a future in which even Russia will become a member of the European Union was not one too far away. On military level NATO appeared to be an invincible military shield and it seemed to become even a global alliance which was to provide at indications of the Security Council, missions to impose global order. The global equation of stability seems solidly built. Nothing has remained from this perfect picture of a better world. NATO intervention in Afghanistan and the defeat suffered has influenced the future plans of the Alliance, the announced withdrawal from Afghanistan in 2014, ends long-standing contingency plans for NATO trouble spots. From now on there will be only punctual interventions with duration of less than one year, the only ones that the Alliance can do effectively. Instead of a coherent NATO interventions focusing on post-conflict reconstruction, we started to become witnesses of illegal intervention or of unilateral actions from the NATO members, which do not only exceed the action out of the alliance, but it also contradicts its fundamental principles. The EU crisis, which began as an economic crisis that hit Greece, Spain, Portugal and Ireland became a general economic crisis and blocked the expansion of the political union, expansion was supposed to be a future of prosperity for Europe. The EU political crisis threatens more and more achievements that were once considered as permanent certainties: the right to free movement is questioned, the right to work is severely restricted and fined and the portrait of EU as a club of democracies is as severe questioned by the expansion of right-wing parties and by the blocking of the democratic mechanisms which no longer work on the continent. The collapse of the safety certainties led to the revival and development of security risks: forgotten border conflicts are worldwide present, territorial conflicts in the Far East are among the most visible. In Europe, the Kosovo crisis questioned the stability of the boundaries drawn after World War II, and there are here additional trouble spots throughout the Balkans and throughout Central Europe. All these attract with them increased security risks and general instability, with only two possible outcomes: return to arms race and to the conflicts we thought forgotten after 1945 or rebuilding a new system of global security. In September 2012, when leaders of the Conference on Interaction and Confidence Building Measures in Asia (CICA) was held in Astana, capital of Kazakhstan, the usual speech reception, group pictures and final smiles were expected. They were to have a surprise. Before them, their host President Nursultan Nazarbayev presented a comprehensive project to revive the dialogue and reduce tensions in the Euro-Asian. It was not the first time the president of Kazakhstan surprised their guests with comprehensive and ambitious reform plans. Everyone remembers in 2010, when Kazakhstan took over the Chairmanship of the Organization for Security and Cooperation in Europe (OSCE). Everyone expected a usual cosmetic presidency, of a prestigious organization in free fall and utility. It was not to be like this. President Nursultan Nazarbayev launched a project to reform and restructure the OSCE, put in foreground the overall security projects and the restoration of OSCE action potential. 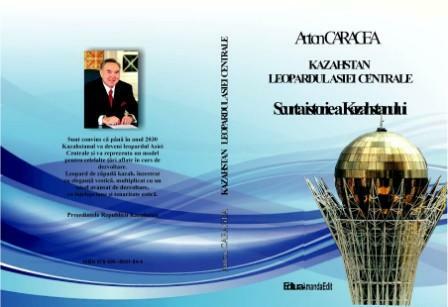 The organization was not able to meet leaders in 1999, Kazakhstan has managed to achieve this performance. 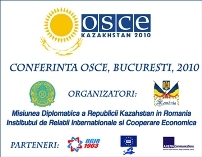 OSCE failed for two decades to bring together the civil society leaders, but in 2010, within the Conference of Bucharest, Kazakhstan has managed to do that. At the end of a one year term, Kazakhstan has managed to inject fresh vigor into an organization that seemed irreversible affected by routine and inefficiency. Now the voice of reason, the voice of Kazakhstan, is heard again: it is time for a platform of security and cooperation in the Euro-Asian and Euro-Atlantic area. The security and cooperation platform. – Creation of a zone of stability that connects the Atlantic and Asia, the European and Asian continents. – Establishment of a mechanism of interaction, flexible and based on tangible results and creation of communication channels. – Unification of the countless existing organizations on global security: NATO (North Atlantic Treaty Organization), CSOT (Collective Security Treaty Organization), CICA (Conference on Interaction and Confidence Building Measures in Asia), the OSCE (Organization for Security and Cooperation in Europe). – Focus new organization on the central problems such as geopolitical rivalry / reducing global distrust / fight illegal migration / fight against trafficking in human beings and drugs / counter terrorism and extremism and suppression of territorial claims. Kazakhstan – clear action, concrete results. President Nursultan Nazarbayev said from the very beginning that his country will lead by example and will convince through clear results about the usefulness of its initiative. Thus Kazakhstan launched in 1990, a successful initiative for the denuclearization of the region Central Asia, closed the nuclear test polygon from Semipalatinsk and gave up a huge arsenal of nuclear weapons (third in the world after the U.S. and Russia). With such results, Kazakhstan took the flag of the fight for nuclear disarmament, having demonstrated that a nuclear country may renounce its weapons for promoting world peace. Not by words but by deeds, seems to be the motto of Kazakhstan’s international action. Thus, President Nazarbayev announced at the nuclear disarmament meeting in Seoul, the initiative to create an international bank for uranium, an entity meant to control the resources and use of nuclear material for peaceful projects. The establishment of such a bank would block traffic fusion materials, would allow nuclear arms control and allow the commencement of global nuclear disarmament. The new initiative received immediate support from the United States and the United Nations, as being the only reasonable proposal to address the problem of trafficking in nuclear materials. Meanwhile, Kazakhstan has proposed a less ambitious goal, the ATOM initiative to ban nuclear tests and has made this initiative a decision available to all people, building a specialized website where any responsible citizen can support initiatives designed to have a world without the risk of nuclear tests. In Afghanistan, where the military solution failed, Kazakhstan has shown that the humanitarian solution gives results: hundreds of Afghan students graduate courses in Kazakh universities, laying the foundations, by providing the necessary personnel for the economic, administrative and health recovery of a country devastated and laying the foundations of a return to normality. Also construction of social facilities (schools, hospitals, health centers) developed the only strategy that works: higher standards of living. The counter-drug fight reduces the sources of income of the destructive elements and Afghanistan rises again from the ashes of a failed military intervention. As to the economic crisis, the Kazakhstan’s president has built in his country the third world economy as growth rate, but he was concerned that only nation achieves economic growth, but he also provided a platform for combating global crisis. 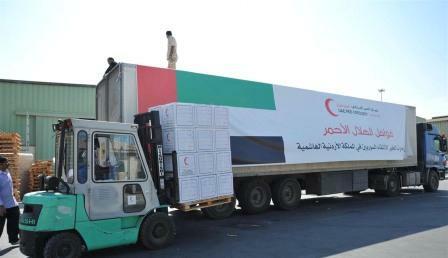 The solutions to fight the crisis were offered free, together with the necessary consultation. While other solutions have failed and world organizations have enormous cost, the Kazakhstan’s offers as a solution to the crisis is only up to people affected by the crisis if they want to apply or not. Finally, the most recent contribution of Kazakhstan to the political and economic crisis, is the rebuilding the Silk Road. The Silk Road brought prosperity and security from Asia to Europe for two millennia. Now with 5,000 kilometers of road built by Kazakhstan will link China to St. Petersburg and bring raw materials in emerging markets in Asia and will connect the European consumers with products offered by the Asian market. By its revolution in transport, Kazakhstan has become the bridge between Asia and Europe, the area of transport and logistics and has become the host of dozens of trans-regional and multilateral organizations, connecting the Asia-Pacific, Europe-Atlantic area. After offering the example of a modern nation, contributing effectively to the global debate on crucial issues such as nuclear safety and solving of the global economic crisis, the new proposal of the President Nursultan Nazarbayev promises to offer a solution to avoid a ravaging conflict in the XXI century. Romania’s response to the initiative of Kazakhstan can only be positive, given the long tradition of Romanian efforts towards disarmament and creation of a global security system. The Romanian voice must be with Kazakhstan’s initiative in setting up the platform for Security and Cooperation in the Euro-Asian and Euro-Atlantic integration, as the only reliable solution to ensure not only national security but also to bring our contribution to the great idea debate of the century. Our country’s voice must be heard again in support of world peace! You are currently browsing the archives for the Neutrality category.